Coconut oil is the oil derived from a coconut fruit. In its natural form, coconut oil has a soft and waxy consistency, is malleable, and can be used in a variety of products, ranging from health and beauty products to cooking oils. The healthy properties of its components (lauric acid, capric acid, caprylic acid, antimicrobial lipids and saturated fat) have been widely tested and demonstrated in recent years. In some circles, it’s considered to be the go-to oil for all types of health and beauty needs. Coconut oil is sometimes applied to the skin as a moisturizer and to treat a skin condition called psoriasis. Using natural products that contain coconut oil also allows consumers to benefit from its inherent healing properties. In addition, coconut oil can be used for cooking, as a healthier alternative to vegetable, corn and other fat-laden cooking oils. More than ninety percent of coconut oil consists of saturated fats. 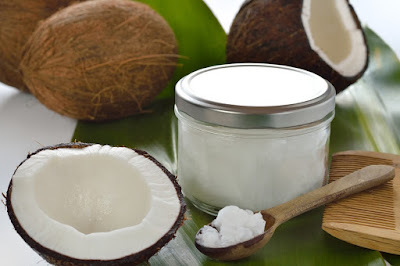 However, the structure of fat in coconut oil differs from the traditional saturated fat often found in animal products (primarily comprised of long-chain fatty acids). Saturated fatty acids: Most of them are medium chain triglycerides, which are supposed to assimilate well in the body’s systems. Lauric acid is the chief contributor, representing more than forty percent of the total, followed by capric acid, caprylic acid, myristic acid and palmitic. Vitamin E, vitamin K and minerals such as iron. The second type, refined coconut oil, is extracted from chemically bleached and deodorized coconut meat. Virgin coconut oil, on the other hand, is extracted from the fruit of fresh mature coconuts without using high temperatures or chemicals, is considered unrefined and may paint an entirely different story for our health. People with blood sugar problems, like diabetes, may be able to benefit from incorporating coconut oil into their diets. The oil encourages the body’s insulin reserves to act as they naturally do, and to respond well to glucose that’s present in the blood. There is some research that claims that type 2 diabetes can even be reversed with the consumption of coconut oil. Coconut oil is also good for the immune system. It strengthens the immune system because it contains antimicrobial lipids, lauric acid, capric acid and caprylic acid which have antifungal, antibacterial and antiviral properties. The human body converts lauric acid into monolaurin which research has supported as an effective way to deal with viruses and bacteria that cause diseases like herpes, influenza, cytomegalovirus, and even HIV. Coconut oil helps in fighting harmful bacteria like listeria monocytogenes and helicobacter pylori, and harmful protozoa such as giardia . With its complementary antioxidant properties, it may also be able to protect against free radicals and chronic illnesses, and can have some anti-aging properties. With so many health benefits, coconut oil remains one of the best and all-natural ways to guard your health against the bodily and environmental stresses that threaten it. Coconut oil is also believed to be useful in treating pancreatitis. So taking coconut oil eases the strain on the pancreas. Coconut oil is very soothing and hence it helps in removing stress. Applying coconut oil to the head, followed by a gentle massage, helps to eliminate mental fatigue. As mentioned earlier, coconut oil improves the ability of our body to absorb important minerals. These include calcium and magnesium which are necessary for the development of bones. Thus, coconut oil is very useful to women who are prone to osteoporosis after middle age. Recent research has shown that the brain actually creates it’s own insulin to process glucose and power brain cells. As the brain of an Alzheimer’s patient has lost the ability to create it’s own insulin, the ketones from coconut oil could create an alternate source of energy to help repair brain function. Calcium is an important component of our teeth. Since coconut oil facilitates absorption of calcium by the body, it helps in developing strong teeth. Coconut oil also stops tooth decay. Oil pulling with coconut oil has been used for centuries as a way to cleanse the mouth of bacteria and help heal periodontal disease. If you want to heal your gums and repair your teeth, use coconut oil pulling 3x a week for 20 minutes a day. It is believed that coconut oil plays an instrumental role in reducing a person’s viral susceptibility for HIV and cancer patients. Preliminary research has shown an indication of this effect of coconut oil on reducing the viral load of HIV patients. Finally, coconut oil is often used by athletes, body builders and by those who are dieting. 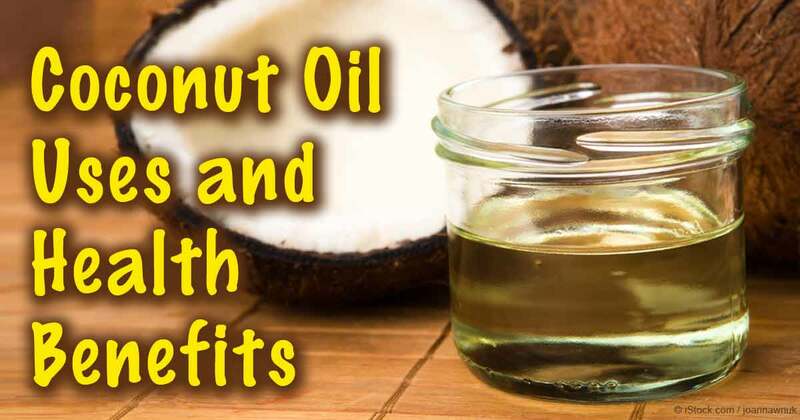 The reason behind this being that coconut oil contains less calories than other oils, its fat content is easily converted into energy, and it does not lead to accumulation of fat in the heart and arteries. Coconut oil helps boost energy and endurance, and generally enhances the performance of athletes. This oil is our most well-known old friend. It is extracted from dried coconut kernels, which are also called copra. It is crude, unrefined and without any additives. It is mainly extracted by compression of copra in a mill, either driven by bullocks or by power. However, the variety extracted by bullock driven oil mills is preferred. Pure coconut oil has multiple uses such as edible oil, massaging oil, hair oil, cosmetic usage, as well as medicinal and industrial use. This is sometimes also called the RBD coconut oil, which is an abbreviated form for refined, bleached & deodorized coconut oil. 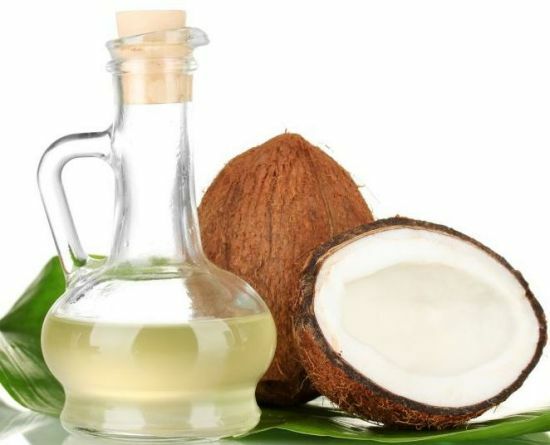 As the name suggests, this type is obtained by mechanically and chemically refining, bleaching and deodorizing the crude coconut oil, to make it thin, colorless, odorless and without any type of particle (such as proteins) suspended in it. What we then get is only pure saturated fats. The coconut oil that has been extracted from coconuts obtained from coconut palms raised only on organic manure and no synthetic fertilizers or insecticides. The production of organic coconut oil is also completed without involving any chemical in its extraction or processing. This is another well-respected variety of coconut oil. 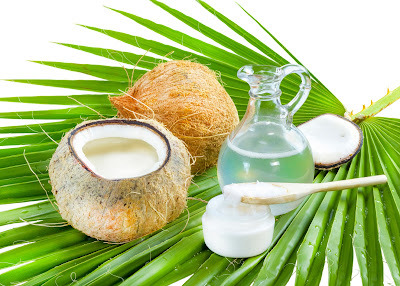 Organic coconut oil forms an integral part of a number of organic cosmetic products such as organic soaps, organic skin creams and lotions, organic snacks and thousands of other similar products. Some of the organic programs and authorities that certify organic coconut oil include Global Organic Textile Standards (GOTS), USDA National Organic Program (NOP), European Organic Regulations (EU 2092/91), Export Certificates for Japan (JAS Equivalent), Indian National Programme for Organic Production (NPOP), Quebec Organic Reference Standard (CAAQ), Bio Suisse Standards, IOFAM Basic Standards, ECOCERT. This type of oil is basically virgin coconut oil produced from the organic coconuts, in an organic way. This is perhaps the best and purest form of coconut oil one can imagine, but it is rare. Among all the varieties of coconut oil, this is the most challenged and controversial variety, as its very existence is doubtful and the name hardly makes any sense. Furthermore, there are no set standards for virginity of coconut oil. Moreover, reputed firms and governmental bodies are still hesitant to say anything on the matter, nor are they selling it. Basically, further research is definitely required. Coconut oil can be very efficient as carrier oil. Carrier oils hold a place of high importance in Aromatherapy, Ayurveda, Chinese Medicine and all other systems of treatment that involve massaging. Carrier oils are those oils which easily penetrate or absorb into the skin and thus facilitate seepage or absorption of other oils (such as essential oils) and herbal extracts through the skin when mixed into it. Coconut oil is easily absorbed through the skin’s pores and thus is used as a carrier oil. Furthermore, being one of the most stable oils, it doesn’t go rancid, nor does it let the other oils, herbal extracts, or medicines spoil inside of it. Due to its anti-fungal and anti-microbial property coconut oil keeps the oils, herbal extracts and medicines that are mixed in it protected from microbial or fungal interactions. It also does not alter the properties of the oils and herbs mixed within it. Coconut oil is expensive in several countries; however, in tropical countries its cost is low enough to make it affordable as a carrier oil. Replacing processed coffee creamers with organic coconut oil is a smart move. Although it may sound strange, the result is actually quite delicious and highly nutritious. The combination of caffeine and saturated fat gives the body a great and lasting energy boost. Coconut oil’s medium chain fatty acids promote thermogenesis and lead to increased metabolic rates. Coffee has a tendency to spike insulin, while coconut oil is believed to help regulate blood sugar. Studies have show that intake of coconut oil can help our bodies mount resistance to both viruses and bacteria that can cause illness. Coconut oil can boost thyroid function helping to increase metabolism, energy and endurance. Coconut oil can help keep stave off hunger and cravings. Coconut oil increases digestion and helps to absorb fat-soluble vitamins. Coconut oil lowers cholesterol by promoting its conversion to pregnenolone, a molecule that is a precursor to many of the hormones our bodies need. 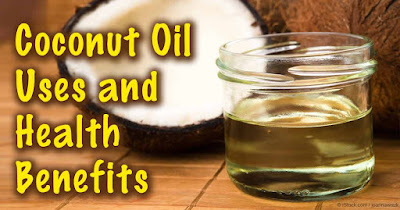 One 2009 study found that women who consumed 30 milliliters (about 2 tablespoons) of coconut oil daily for 12 weeks not only did not gain more weight, but actually had lowered amounts of abdominal fat, a type of fat that is difficult to lose, and contributes to more heart problems. The best way to prepare a tropical twisted coffee drink is to brew a high quality organic cup of coffee and place it in a blender. Add in one tablespoon of organic coconut oil, blend and enjoy. The resulting coffee drink is frothy and rich, with a wonderfully smooth taste that is very satisfying. If you like your coffee sweetened, add one teaspoon of coconut crystals. Adding coconut oil to your coffee is a great way to supercharge and give your body a burst of energy to make it through the day. Not to mention all of the other amazing health benefits of coconut! Coconut oil is safe for most people if used in amounts commonly found in foods. It also appears to be safe when applied to the scalp in combination with other herbs. There are rarely any side effects for coconut oil. Occasionally a contact allergy may occur for certain individuals that are allergic to coconuts. Some of the cleaning products created by coconut oil have been known to cause contact allergies as well, but it is not common.